A new fresh of design with the most powerful graphics performance is evolved to offer a new experience of HD video. The latest CUDA and PhysX Technologies also offer the most trancoding speed and real motion in the gaming world. P4-P5N9300 also supports the Hybrid SLI Technology to maximize the graphics performance. 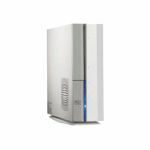 P4-P5N9300 offers hardware decode of high definition content, full 1080P. It also supports DirectX10 which equips New 3-D graphics-rendering capabilities in games and high-end 3-D applications. Plus the theater-like HD 8 channel audio, a new experience of home entertainment is evolved. The small size, 8.9L, contains all the possibilities. With many hidden mechanical designs and its high glossy piano-black , the simple and elegant product fits all surroundings. Moreover, the media center is in your hand by the remote control and embedded IR receiver. P4-P5N9300 enriches your life by providing rich features for multimedia applications. It includes D-sub, HDMI, S/PDIF out, 8-channel HD audio, CF, MS, MS Pro, SD, MMC card readers, 1393, ESATA and etc. It provides users a convenient platform to connect peripherals in daily life. The highly integration of mechanism and MB design creates the best placement and air flow. Besides that, ASUS unique Q-Fan Technology can detect the CPU lording and temperature automatically. 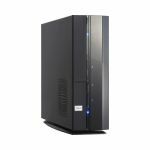 By these two ways, P4-P5N9300 provides the best thermal & acoustic solution and quiet working environment. Perfectly works with Windows Vista and maximize your graphics performance by ASUS VGA card and Hybrid SLI Technology. Also you can enjoy the multi-display up to 4 displays to increase the productivity. The exclusive SPLENDID Video Intelligence Technology from ASUS optimizes overall display for the best results in image preview, movie playback, and gaming. Delivering video performance with intelligent color, brightness, contrast, and sharpness corrections. It also provides different video preset modes and 3 preset skin tone. 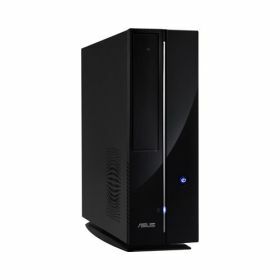 ASUS Express Gate offers an optional Linux OS bootup that allows you to enjoy instant access to commonly used functions like accessing the Internet, VoIP, and Web emailing without entering Windows..